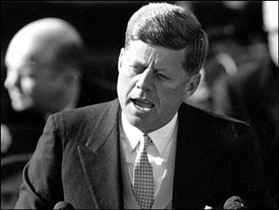 John F. Kennedy was a very popular American President who was assassinated over four decades ago. When President Obama ran for office, he ran on the platform of “change” and brought back memories in the older generation of the life of President Kennedy and his promises of change. Both President’s are young and with youth on their side, aim high. These names have been running parallel with each other in some circles for quite a while now. Even their abilities to have an influence over the world by the method of eloquent speech is compared today. Photo by thesmuggler- Night of the Swallow"
Obama and Kennedy have common their relative youth when winning seats as U.S. Senators. Kennedy was in his mid forties. However, those who look into the life of JFK with depth will realize what an inexperienced man he was and that he was mislead a lot. It is just that we have advanced today to the extent that we can view these mistakes in hind sight. Even though he was a very updated and informed man, the truth was not that easy to discern. Kennedy also wanted to make sweeping changes and made huge political mistakes in stepping on important and substantial toes causing backlashes in non-public shows of power. It was found in an interview where attention was asked from Obama regarding his queries of a "wider world". This recalled the time where JFK had made inflated promises and wanted the people to live up to whatever sacrifices they promised. Kennedy and Obama had the ability to be fast learners, independent judges, determined and calm, and had knowledge that came from years of experience. Where Kennedy asked that the voters listen to their intuition to vote for him, Obama had the advantage of having a heavy, successful campaign that profited from his grass roots followers who threw the TV pundits off balance. However, he still needs to clarify the vague promises of a changed world that he held in his vision. The fact is Obama’s universal healthcare is a huge change in the status quo and the masses who voted for him deserve a successful healthcare system. Let’s hope it turns out to be a win-win for most of us in the end. Obama portrayed independence and openly declared his disapproving thoughts of wars that related to Iraq. However, this was not his strength as it did not develop anything significant for him as a leader and Kennedy had this strength back in his time as he turned between the Democrats and Republicans and the Stevenson liberals. In addition, Obama threatened to start bombing Pakistan which confused the people as to who was being punished and whether or not this would be a smart move made by the President. We mustn't forget the Bay of Pigs on Kennedy’s watch. JFK and Obama are characterized as young, energetic, eloquent, quick thinkers, deep thinkers, influential and loved by the public. America put out faith into both of them and the world took a sigh of relief when they became Presidents. JFK wasn't in office very long but we wish we could have seen what he could have done if his life hadn't ended tragically. We are relatively early into the Obama administration but still have our eyes wide open and looking for the promises of change to come to fruition as promised. Not only did Kennedy dream of independence, he believed in sacrificing for it as well. He inspired a generation to think about what they could do for their country and delivered heart piercing speeches consistently and profoundly. Obama may have made promises but has been vague about achieving them and making statements that the population and other relation foreign relations do not understand. This is the most important aspect of Kennedy. He had the knowledge of keeping it strong in terms of foreign relationships. Which President is most inspirational? Being a president of the greatest nation on the earth is not a small task. I hope Obama would act on all his promises. 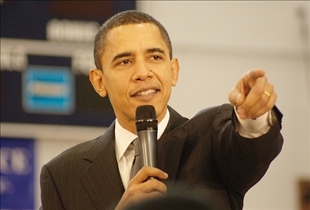 I still think that Obama is one of the greatest presidents of United States, remember he is the first president ever to implement Universal health care. So much for a manned space flight program.